The North Umpqua should be held up as a showplace for good management practices. 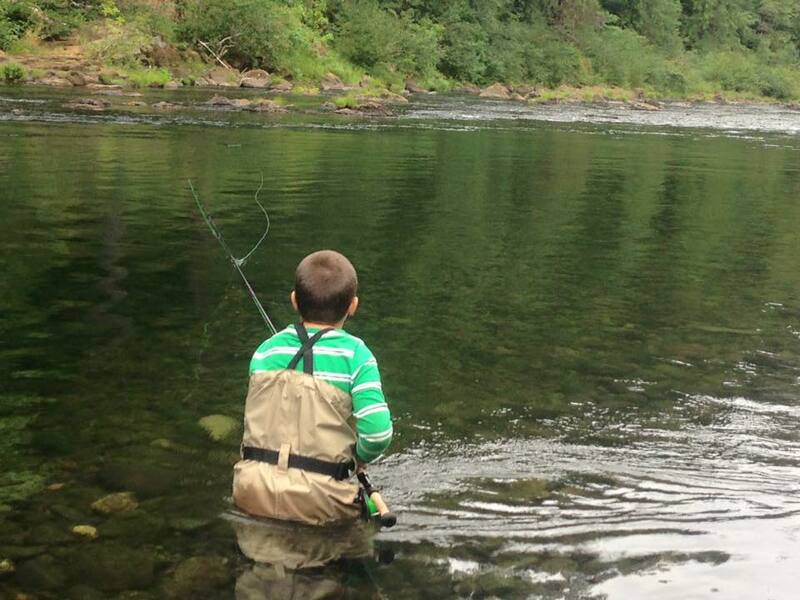 Common sense regulations favoring wild fish are important, and they are in place and working on the North Umpqua. Thanks to some of the early conservation minded pioneers of the river like Frank Moore and later the Steamboaters and others, the fishery has maintained itself in a healthy way Eliminating hatchery fish in the fly water was a major victory for wild fish and this river. The etiquette and history also still remain making it one remarkable place. 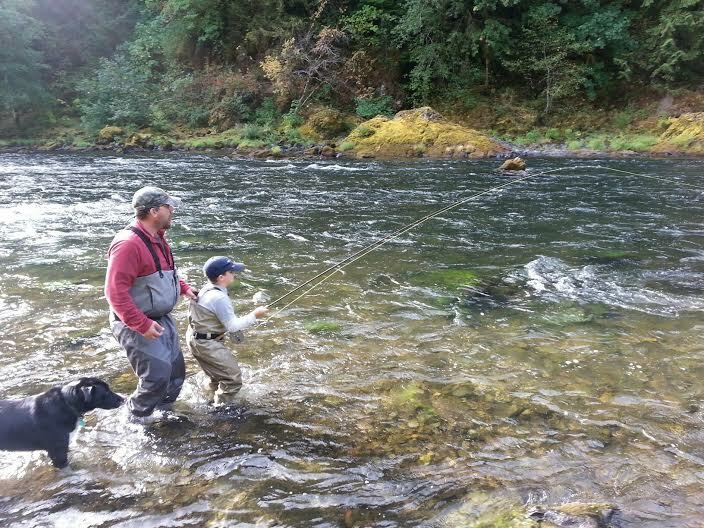 The protection of a deep water sanctuary for fish in summer by eliminating weighted flies and indicators was probably one of the most critical regulations for wild fish on the North Umpqua in the summer. The no kill rule for both winter and summer has obviously also done a lot for wild fish protection. These rules ensure no wild fish are killed and a lower percentage of fish are repeatedly hooked and a higher percentage will make it to spawn every year. The initial logging destruction in the early days did have negative effects for sure but since then, the river corridor and its tributaries have been managed fairly well. Logging regulations and required stream buffers have gotten better for the most part with regard to maintaining vegetation and stream side habitat. This along with the protection of the fish in Big Bend pool up Steamboat Creek and all its tributaries has been the key to this rivers success over the last 50 or so years. If we can get the Frank Moore Wilderness designated permanently it will be a huge win. Spawning habitat is key to these wild fish surviving for the future. River closures were never part of the management practices and should not become the normal emotional reaction to having to “do something” for the fish. Especially on a river already so regulated. These fish are resilient and have adapted to the warmer water times of summer by staying down in the deeper pools where it’s cooler. When its hot they are hard to catch, period! I don't see any fish being saved right now by the ruling and closure. Yeah they are getting a break for sure but at what point do we just close the river altogether? Fishing is a blood sport people weather catch and release or not. We are predators when we fish and we always have the potential to kill a wild fish accidentally even with the best and most responsible practices.If the North Umpqua isn't a river that can show by the return numbers and the rules in place that these fish can handle pressure and still survive, even thrive than I don't know what river can. Back to the NU. In fact it is my opinion that more fish are actually being hooked by people using sink tips in these low water conditions. A sink tip in these low water conditions is breaking into the deep water sanctuary ( hey, there isn't much deep water out there right now) that the no weighted fly in summer attempted to protect. I will say that instead of a 2 pm closure, a much better rule in the warmer water of summer is a no sink tip rule. Keep the river open all day and no sink tips, that will save some fish from being hooked for sure! The NU can’t and shouldn’t be lumped in with other rivers struggling along trying to maintain a healthy fishery. 70 years of data shows that this river and its fish are special and are doing as well as any wild steelhead run in the world for its size. Its a world class fishery that has been maintained and regulated for exactly that, FISHING! Its a healthy river for wild fish and the regulations are in place to see that trend continue. We should hold the river up and show case it as an example of what good management for wild fish looks like. The North Umpqua is unique and should always be managed that way. It has worked well so far. I don't want to see the ODFW broad brush this gem in with other rivers with major problems. The North Umpqua has already addressed and overcome.so many hurdles, it is standing the test of time as a strong and healthy river with a vibrant wild fish population. That being said, as much as I disagree with the current closure I will always respect the fish, the fishery, the rules that are in place and the river and do my part to ensure that generations can enjoy this river in the future.